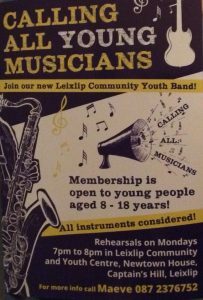 Following on from recent successful gigs played locally, our newly formed Leixlip community youth band is now expanding. We are looking for kids and teens to join. Suitable for anyone who plays a musical instrument. We are also looking for students with an interest in dance and gymnastics to perform with the musicians for the Leixlip st Patrick’s day parade. All choreography will be taught at rehearsals. An information and introduction morning. We offer weekly weigh in (price 5euro), we will do body fat measurements, BMI calculations, metabolic age and other important indicators. 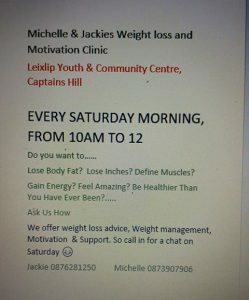 We will provide nutritional advice and healthy eating meal plans, which are simple to follow and will assist in getting fast, effective. A brand-new term of yoga classes for 2019 starts next Tuesday 15 January. A great way to get the new year off to a good start! Whether you’re continuing a regular yoga practice or coming back to it after a break, yoga will help to bring body and mind back into harmony and alignment. The classes are suitable for all levels of ability and flexibility. 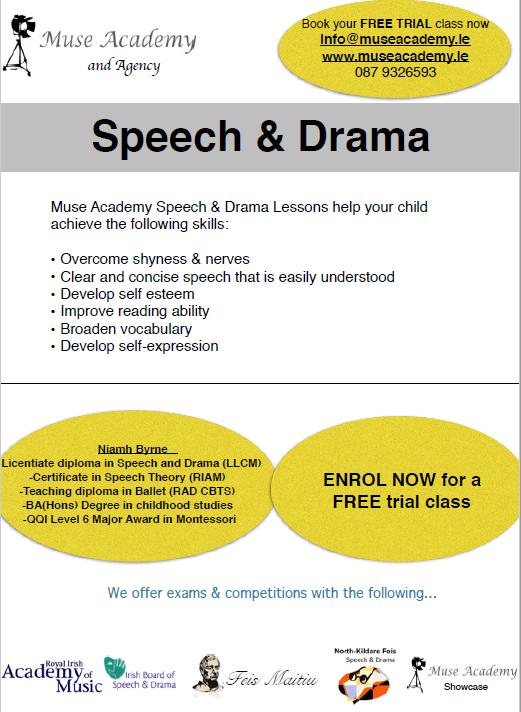 If you’re interested in any of the above classes please email or contact me on 087-9569896 to book your place. Youth Clubs have finished for the year, and we will return again in January. 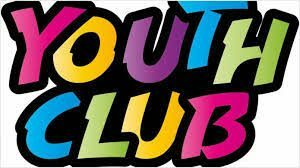 Our Primary youth club has been extremely busy since September with new members joining every week, and very high numbers attending weekly in Oct/Nov/Dec. In order to adhere to current Child Protection Guidelines, we are introducing some changes to the Primary Club. We are also holding off on accepting any new members for the time being. The primary group will be split with 5th Class ONLY attending on Wednesdays and the club will now finish at 6pm (4.15pm-6pm). A new timeslot for 6th Class ONLY will be on Fridays 3.30pm – 5pm. This is the best option going forward in order not to have to turn children away from the club if we are “full”. We have consulted with our 6th class members, and the feedback was very positive for a Friday club “of their own”. This arrangement will commence in January with the first 5th Class Club on Wed 9th Jan and the first 6th Class Club on Fri 11th Jan. This arrangement will reviewed on an ongoing basis. 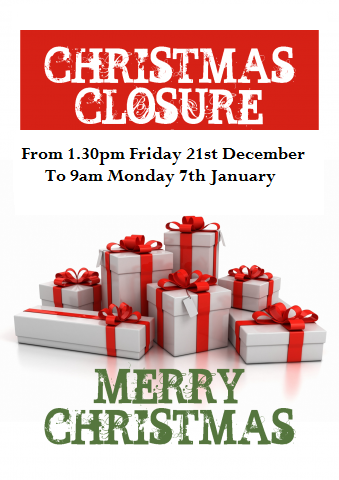 Please note as all activities and groups take a break over the Christmas the Centre will be closed from Friday 21st December at 1.30pm until 9am Monday 7th January. Our Coffee Shop and photocopying/computer services will also be closed over the break.